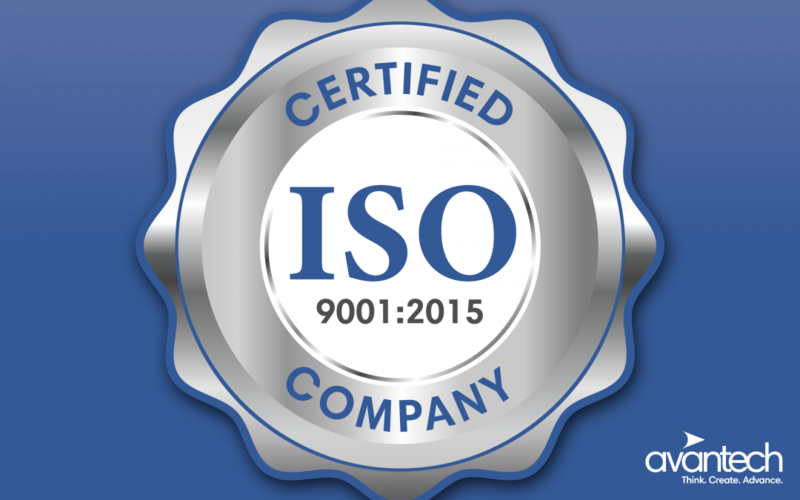 We are pleased to announce that we recently earned ISO 9001:2015 certification. Achieving ISO certification aligns with our objectives of standardizing our manufacturing procedures and systems, providing a platform for continuous improvement, and delivering consistent, quality outcomes from our tool-building and production machining operations. Our recently added production machining capability—made possible through significant investment in people, equipment, and quality assurance technology—is a primary component of Avantech’s growth. Headed by Kevin Cook, general manager, and Jay Landree, CNC business manager, production machining is poised for rapid and significant expansion in 2019, and will further diversify our manufacturing capabilities, skills profile, and customer base. “ISO certification will fuel growth of our production machining offering and is a requirement to pursue our strategic growth targets,” said Cook, who was promoted to general manager last May after joining Avantech in 2017. ISO certification will also positively impact our tool-building business. “Without question, the ISO certification will drive consistency and performance gains throughout our entire manufacturing operation,” he added. Jay Landree, who was closely involved in the ISO certification process, remarked at how the Avantech team rallied around this strategic objective. As a multi-disciplined manufacturer of tool-building and production machining solutions with state-of-the-art manufacturing facilities in Baxter, Minnesota, Avantech counts on more than 30 years of experience in delivering value-added solutions to help our customers succeed in a wide variety of OEM market sectors—from involvement at the beginning stages of product design to delivering highly engineered solutions on a global scale.